Now, I'll start things off by saying I'm not a huge toy collector or anything (because Toy Story 2 ingrained the moral that "toys are meant to be played with" into my brain), but every now and then I see something I want to buy that makes me want to level off the nearest end table, install some proper halogen lighting and pronounce it my Official Action Figure Shrine of Awesomeness. 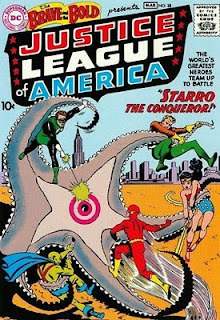 Unfortunately for the figures, Starro's colored a bit differently, and J'onn's collar is approaching dangerously high levels, even though he never had a collar in the Silver Age. 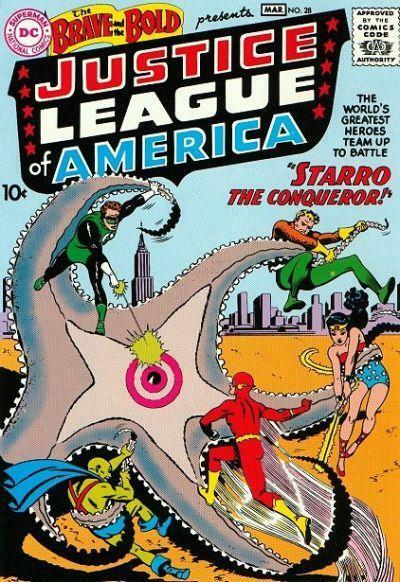 (Which might make a certain Green Lantern fan happy, though.) But still, how cool would walking around doing this be? I could walk around work punching people I don't like and blaming it all on Starro...! 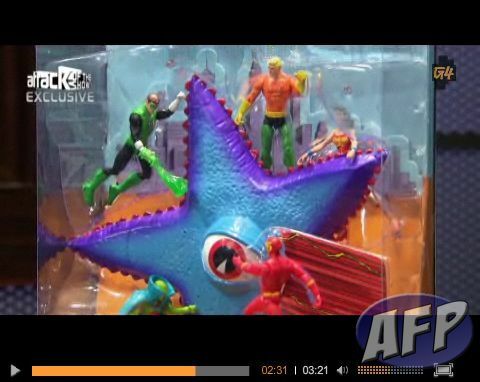 If you want to see the whole video about the San Diego Comic-Con exclusive toys, you can click here, becuase Blogger won't let me embed it. 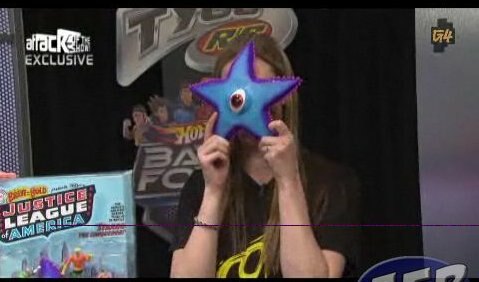 Also, some extra coverage is here. J'onn had better use intangibility all the time, because with a collar THAT high he won't be able to look both ways before crossing the road. Still, I'd like a Martian Manhunter action figure with an automated collar-dusting action.